To launch Heineken’s #ItsYourCall campaign for Rugby World Cup 2015, we transformed an iconic London landmark into a Rugby World Cup venue for one evening only. Heineken’s partnership with Rugby World Cup 2015 centres around a unique asset – the pre-match coin toss – with the #ItsYourCall campaign focused on bringing fans closer to the action during the big tournament. 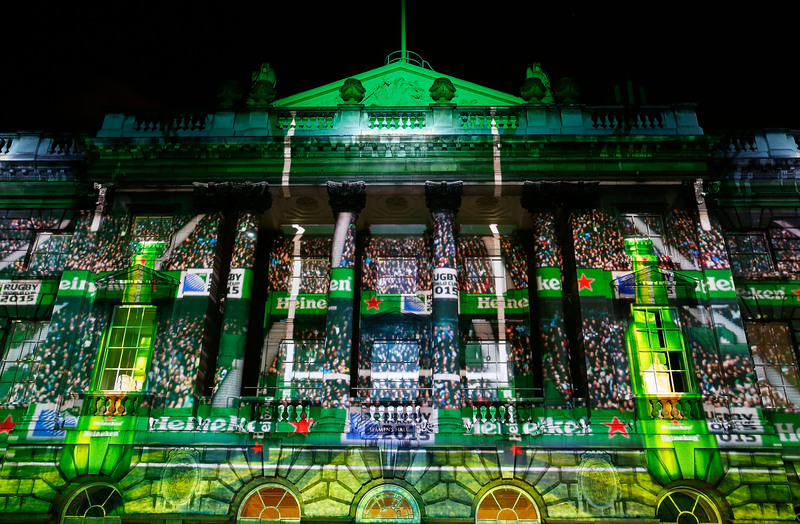 To launch the campaign, we took over London’s Somerset House with the help of Heineken Rugby Legends Jonah Lomu, Will Carling, Rocky Elsom, Matt Dawson, Scott Quinnell, John Smit and a massive 270°, HD animated projection. Almost a thousand consumers, stakeholders and media packed into the iconic venue to witness this historic building be transformed into a roaring rugby stadium. If that didn’t make them feel ‘close enough’, guests also enjoyed a Heineken at the bar with our legends as they played hosts for the duration of the evening.